It was important for us to make the site modern and easy for understanding, despite its subjects seriousness. Therefore, while developing the design, we decided to use animation and colorful images, while leaving classic style for text: black fonts on a white background. The site is a platform for posting scientific articles and monographs. 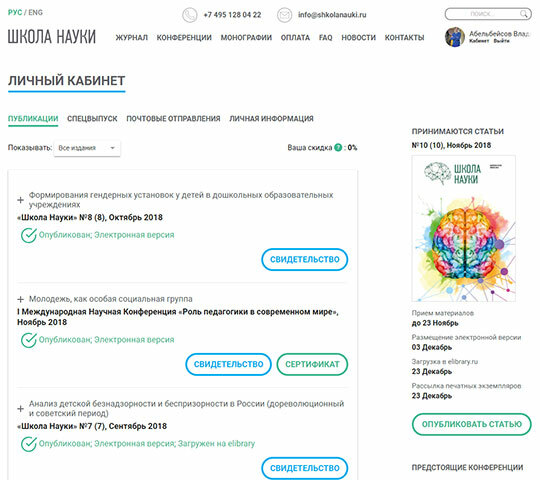 The main task was to make it as informative and easy to use as possible: separate modules were created with instructions for the site’s work, publication rules for authors, and we devide website on sections by scientific subjects for easier navigation. 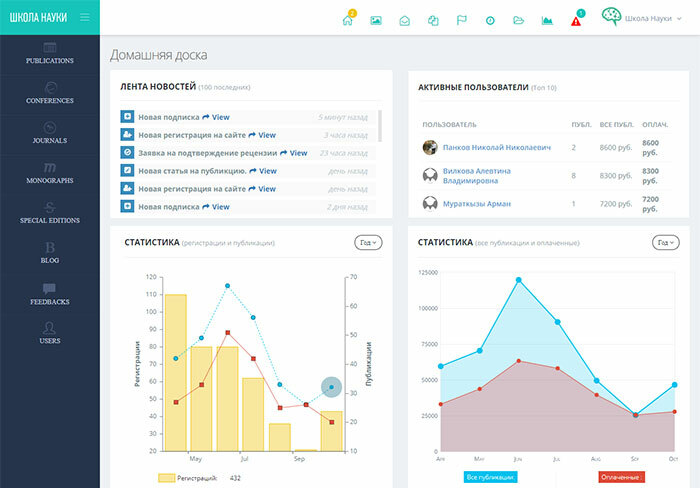 We implemented client-side role differentiation: user, member of the editorial board. 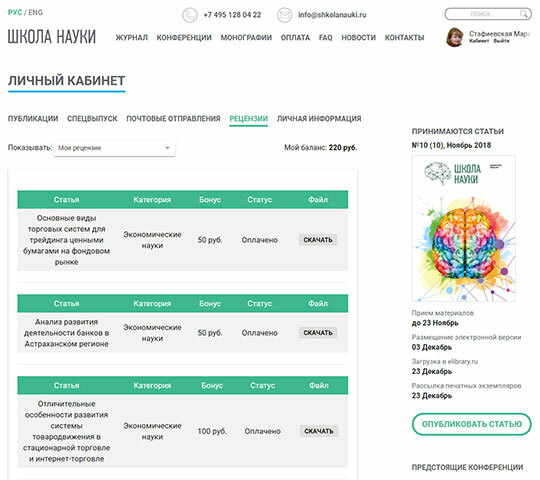 Personal account of user, where you can see your publications, track the location of the ordered print edition of the magazine and edit personal data. Personal account of editorial board member, in addition to the above possibilities, has a module in which you can create reviews of articles and approve them for publication. 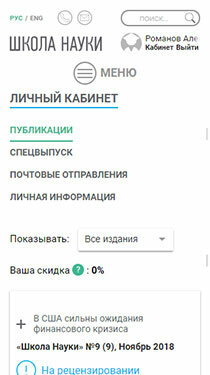 Admin panel sections: dashboard, publications, conferences, journals, monographs, special editions, blog, feedbacks, users. Website is optimized for mobile devices, which makes it even more versatile and convenient to use. Thanks to devITeam developers for their cooperation. 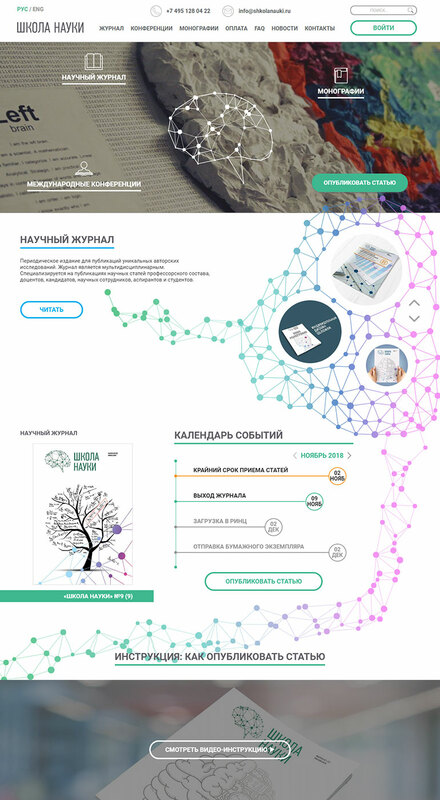 I have been looking for developers who could implement QUALITY the idea of ​​the School of Science project for a very long time. 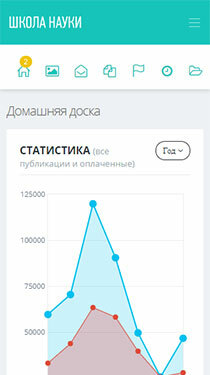 I appealed to different web studios, but there were already many nuances at the initial stage. Honestly, I’ve become disappointed in my idea. And then I was recommended to Alexey, as a highly qualified specialist, I turned, we quickly agreed on the project and the lads started to implement. They did everything efficiently and very quickly. I am glad that the project turned out much better than I imagined. Alexey was always in touch, clearly explained all the points that were not clear to me, made changes with lightning speed, for this special thank you! The devITeam are real pros of their business. I hope for further cooperation. Recomend for everybody!